From the ANN news article -> here. This is the best present I'm going to get this year. And not just because my fandamily doesn't do presents. I'm not going to neg rep you in return. Leave your name. I just saw the first season of this series and i loved it. I was really surprised by the quality of the show because im an avid fan of sports manga,anime i have never heard its name before i saw announcement for season 2. My fav sport series are Ippo and Slam Dunk, Oofuri leaped ahead Major as my nr.3 fav. Because its a seinan sport series it has more depth,better characters,realistic baseball than other manga,anime like it. 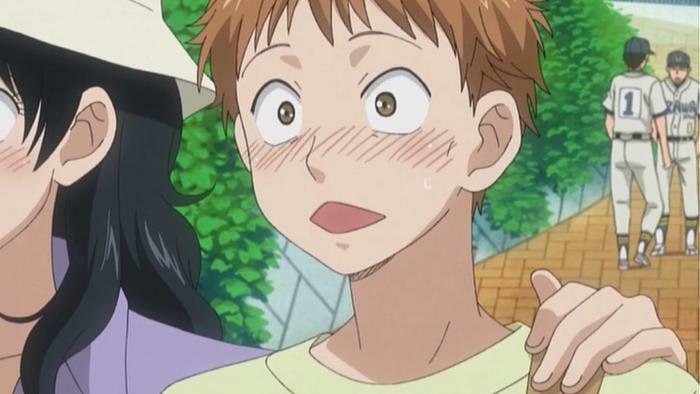 Mihashi was very annoying but the other characters made it up for him. Plus he was funny when he was acting funny,looking weird. As a sport fan its refereshing to see realistic,more team based,tactical baseball series. Also the philosopical understanding by the creator made the characters,their sport real. I read the mangaka studied High School Baseball for 10 years which you can see. Major might be have better hero imo in Goro but stories,characters,comedy wise its not even near this series. I have to wonder, is there as much shounen-ai in this as tumblr suggests? Last edited by sergel02; 2012-01-14 at 16:40. That's about as far as I'd go, and maybe not even that far. If No.6 was shounen-ai, then OoFuri is bromance. I was wondering, how many manga chapters are there? Since i can only find english ones up to the end of season 1 of the anime. There is a male cast, and there are scenes where they (gasp!) talk about their feelings. Take that as you will. Last edited by Theowne; 2012-01-14 at 22:20. I wouldn't say there's any real shounen-ai here, just light bromance at best. 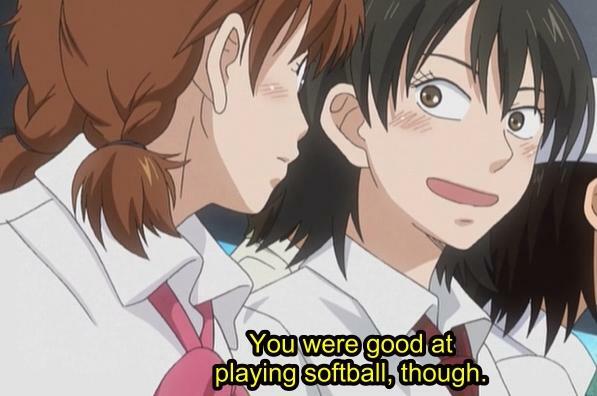 Basically it's an extremely idealized female perspective on what high school baseball players are like - purely fantastical, but the overall impact is pretty charming on the whole. Light bromance? "We must form a battery... only HE can catch my pitches..." + all the crying and holding hands, lol. About the only thing that detracts from the sho-ai theme is the chemistry Abe has with the coach/manager. Plus there's always girl-girl shipping. Rofl so much shipping in this show. I'll be honest it's the main reason i tuned in and the thing i got out of the most. The games were fun and the show was funny, but seeing everyone's relationships with each other made me happy. Though don't really get why the girls on tumblr have this AbexMihashi thing going on. They seem like friends to me. 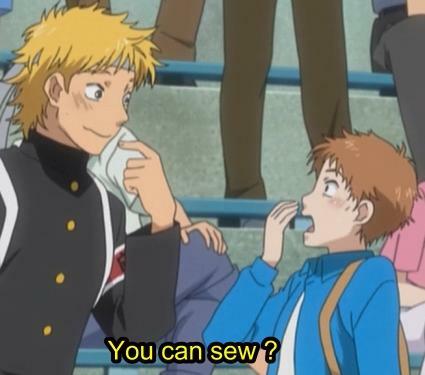 Mihashi and Tajima, that's a different story. They're more like brothers. Like a trio of brothers with Izumi.